One of the things that always gets me all twitterpated this time of year is “new growth” - it is so clean, unblemished by the elements or the insects and incredibly vibrant. Even if you are a casual gardener, you should really spend some time looking closely at your plants as the new foliage unfolds for the season. It is a sight to behold. A quick stroll through my garden revealed several eye-popping standouts. Clematis recta purpurea — This is not your ordinary vining clematis, but rather a sprawling perennial that can reach 6 to 8 feet tall in one season. The new growth is smoky-purple in the beginning and fades to green later in the season, followed by a frothy mass of fragrant little star-shaped white flowers in early summer. I keep mine caged up to my fence so it won’t flop on the ground, but you can also grow it through a shrub if you prefer a more natural look. Some gardeners claim that if you cut it back hard after it blooms that it will grow again and give you a repeat performance in the fall, but I have not personally tried it. Darmera peltata — Commonly known as umbrella plant, this north coast native does quite well in our area, as long as you give it plenty of moisture. This time of year all you see is the flower stalks, which will rise up to 2 feet tall and are topped with a rounded cluster of pink flowers for only a week or maybe two, after which large rounded leaves arise on single stems reaching 18 to 24 inches tall. In rich soils the leaves can be 2 feet across, but mine are more like one foot in diameter. It can be a bold specimen in your garden. Azalea Irene Koster — This is a deciduous azalea with the most incredibly fragrant flowers you will ever encounter. The new foliage is a pleasant soft green, but the pink flowers (which are in bloom as we speak) with their orange throats and sumptuous fragrance, are simply to die for. I have a specimen that came with the house and must be at least 50 years old. Over the years I have hacked it down, limbed it up, or just left it alone - it always performs well and never disappoints. Every gardener needs to have an Irene Koster. It grows well in full sun but will also take some afternoon shade. Bowles Golden Sedge — This may be my most favorite grass, despite the fact that it goes dormant in the winter. This time of year the new blades emerge with a chartreuse banding but the most striking feature are the “flowers”. Grass flowers may not be that exciting for the average gardener, but if you look closely you will be impressed with how the flower stems are first covered with white female flowers and above them are masses of brown male flowers. It is a fascinating arrangement, artistically and architecturally constructed to be both functional and pleasing to look at. Bowles Golden sedge will grow in either sun or shade and looks best with consistent moisture. These are just four of the many plants in my garden that delight me in the month of May. 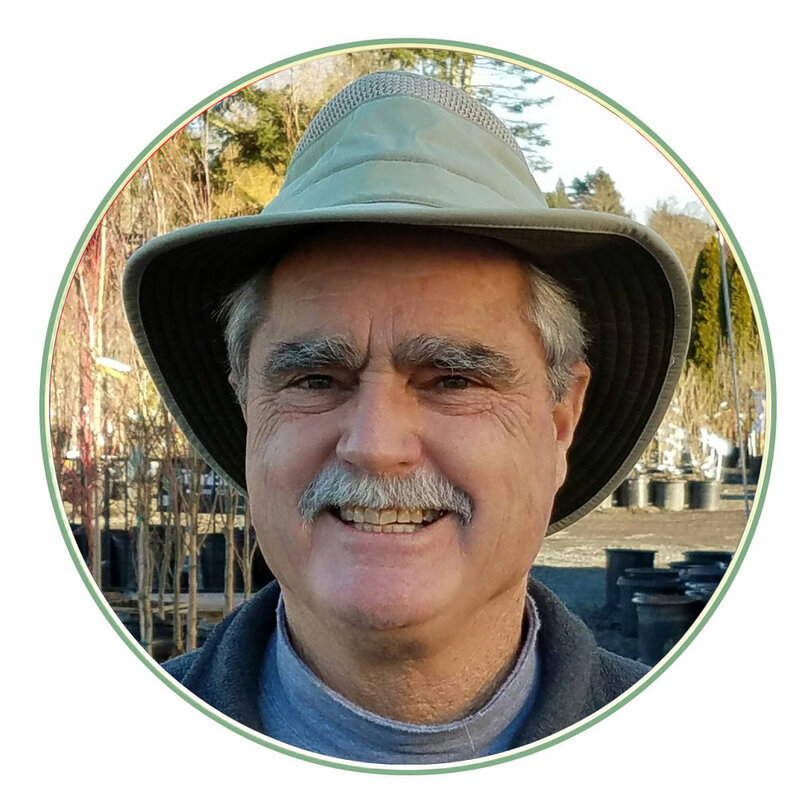 There are many more I could write about but the best way to learn about them is to get out to public gardens or garden centers and see for yourself. No matter what size your garden is, there is always room for a few more plants.